People who suffer from chronic pain syndrome face questions at work and at home. You don’t look sick, so it’s not immediately obvious as to what’s wrong. It’s a condition that can’t be cured, has no specific lab tests and may occur with other ailments that involve long-term pain, including certain cancers, fibromyalgia, endometriosis and inflammatory bowel disease (IBD). 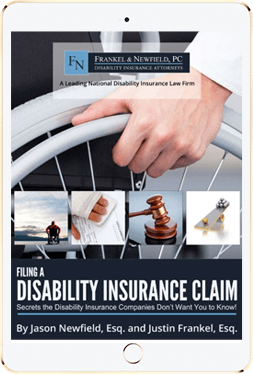 The disability insurance company’s red flag gets raised when a disability claim comes in with a chronic pain diagnosis. Malingering is immediately suspected, and a host of requests for medical records that can document the condition start. While medical authorities report that chronic pain syndrome is likely linked to abnormalities in the interaction between certain glands and the nervous system, known as a type of stress axis, the typical response is that someone is just too sensitive or needs to toughen up. At Frankel & Newfield, our disability insurance attorneys have worked with many claimants suffering from chronic pain syndrome. We know it is a real illness, and it can completely turn your world upside down. And we also know that the last thing you can do while suffering from this syndrome is battle the disability insurance company. That’s our job. If your disability claim has been denied, delayed or has been terminated, call our office at 877-583-2524. We can help.